[General description] Upper body portrait of the subject in three quarter view. He wears a dark jacket and contrasting waistcoat with a wing collar and bow tie. His mutton chop whiskers are neatly trimmed. He was the third judge in the Supreme Court of South Australia. He was drowned returning from Circuit duties in Palmerston in the shipwreck of the 'Gothenburg' in Torres Strait on 24 February 1875. 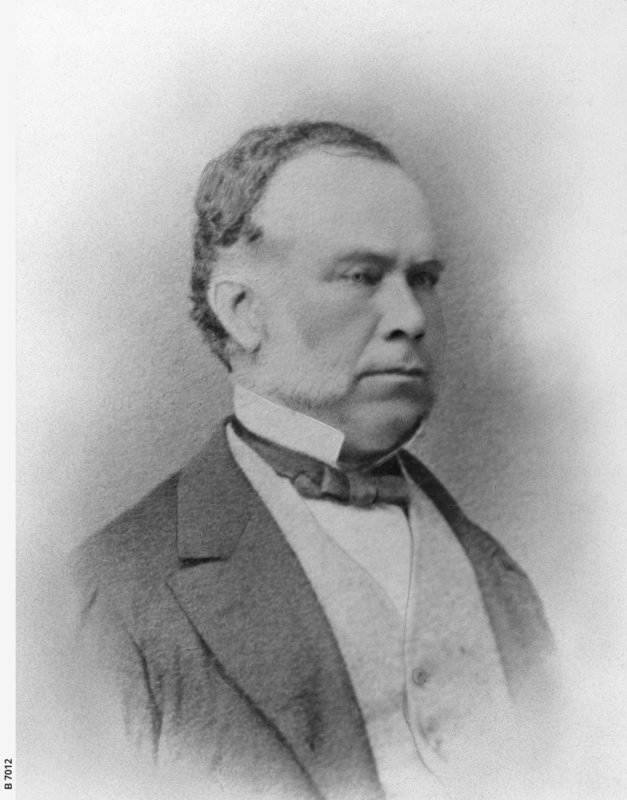 He was aged 59 years [On back of photograph] 'Judge William Alfred Wearing / Presented by the Master of Supreme Court / Adelaide'.